Autumn + Wilson are THE CUTEST!! 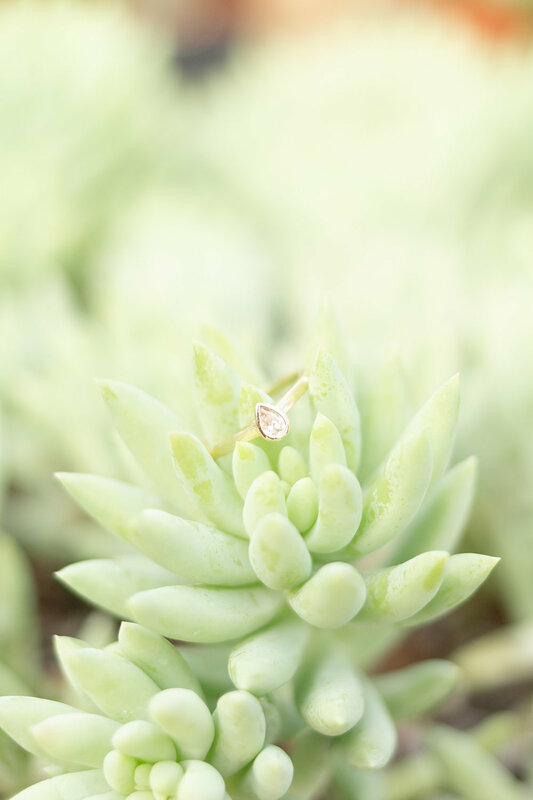 Their engagement session was so much fun! When couples first inquire with us, we love to ask a little about them and hear their love stories! Their love story is seriously the sweetest and most movie worthy story we’ve heard so far!! 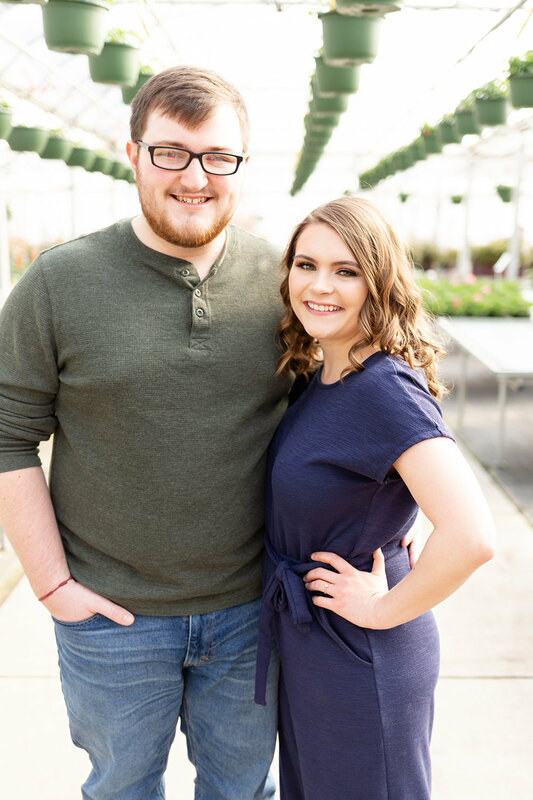 Wilson and Autumn met on a beach trip in 2017 with the U of A. They both got sunburned on the first day of the trip and found themselves the next day, hiding from the sun in the house together doing puzzles and talking all day, while their friends were on the beach! They started dating shortly after! Okay, if that didn’t make you smile and just want to cry, I don’t know what will! 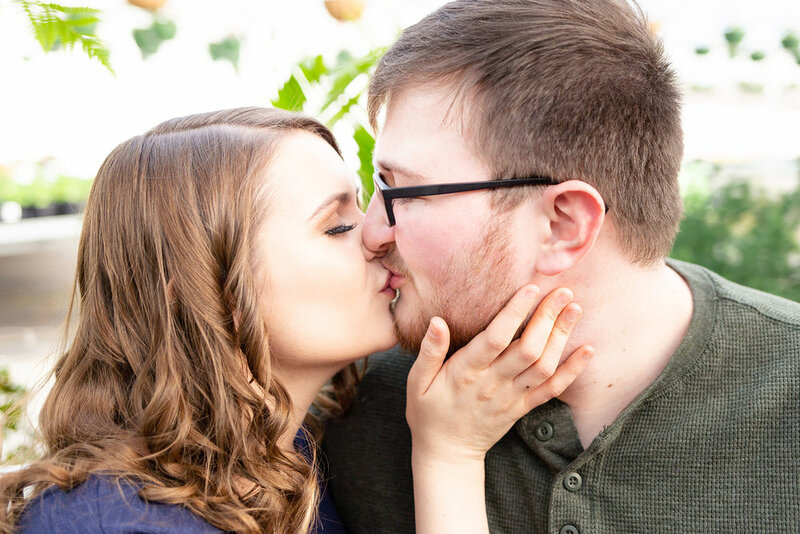 The day of their engagement session was SUPER windy and chilly, so Autumn came up with the amazing idea of taking their photos in a greenhouse and the results are SO GOOD! These two are so sweet together. Wilson really knew how to get Autumn to laugh, which resulted in some really adorable, candid photos! We absolutely loved Autumns navy jumpsuit and her gorgeous ring! We can’t WAIT for their wedding coming up in May! We just know it’s going to be a day full of smiles and happy tears! Autumn and Wilson, we love you LOTS!